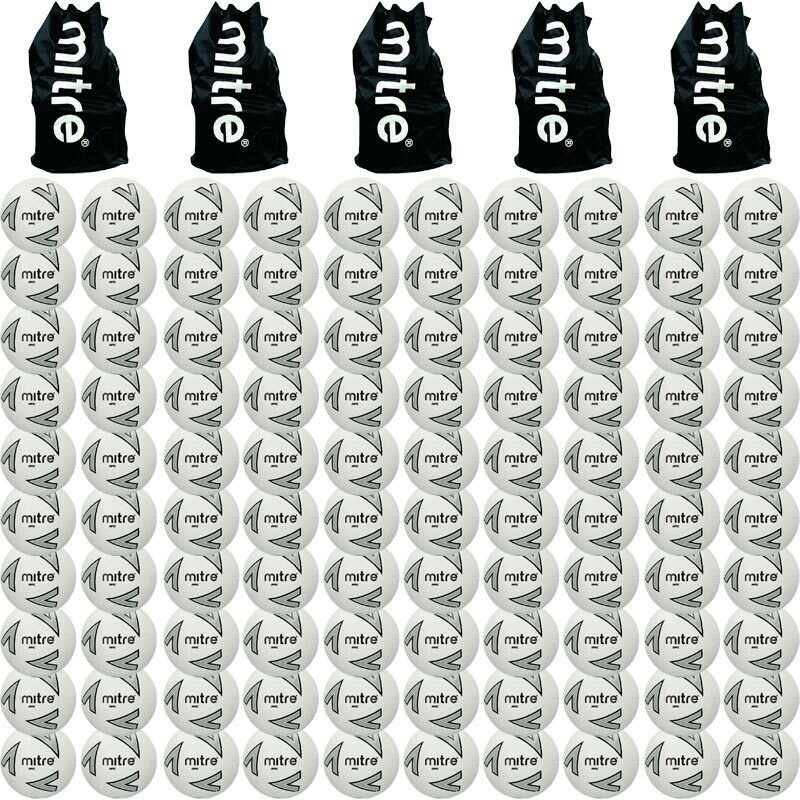 The Mitre ® Impel Training Football White 100 Pack is Mitre's base-level training ball pack. The balls have embraced the iconic Delta graphic which has proven popular over the years. 100 x Footballs size 2, 3, 4 or size 5. 3.5mm EVA soft-touch foam backing enables players to comfortably control and play the ball - inspiring youngsters to and ensuring confidence on the ball. Available in size 5, 4, 3 and 2. Suitable for a grass or astroturf surface. Sold as a pack of 100 footballs and a 5 bags.